It’s no secret that the changes in the Church are preparing us to become more spiritually self-reliant in preparation for the Second Coming. We’re responsible for receiving inspiration for our ministering families and come January, we’ll focus more than ever on learning the gospel in our home and developing our own unshakeable testimonies. President Nelson has urged us to become more spiritually self-reliant in his invitations during the past two general conferences. In April 2018 he said, “In coming days, it will not be possible to survive spiritually without the guiding, directing, comforting, and constant influence of the Holy Ghost. . . . I plead with you to increase your spiritual capacity to receive revelation.” He gave a similar statement in October 2018 when he said, “The adversary is increasing his attacks on faith and upon us and our families at an exponential rate. To survive spiritually, we need counterstrategies and proactive plans.” Elder Quentin L. Cook then proceeded to announce a shorter Sunday block schedule with an emphasis on home-centered gospel study. These changes are blessing us with more opportunities to serve one another, strengthen our testimonies, and become more Christlike. It seems as though we’re becoming more independent in a way, and I think that can be an amazing thing. We need to be able to stand firm in our own faith in the gospel during these last days. But it’s interesting to see that as we become more independent in our testimonies, we come more dependent on the Savior. As we come to know for ourselves the truthfulness of the gospel, we’ll be able to stand for what we believe in, even if it means we’re standing alone. We’ll be able to confidently answer tough questions, and when we don’t have the answers, we’ll be able to have faith that we can receive inspiration and be patient as we wait. As we’re working toward becoming more spiritually independent, there are things we can do to become more dependent on the Savior and strengthen our testimonies. And while everyone might feel His love differently, these three things will be important for our progression in the gospel and our relationship with God. 1. Attend the temple as often as possible. There is no greater place to receive inspiration than within the walls of the temple. 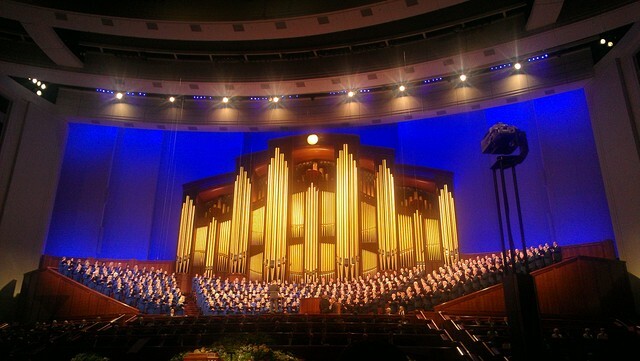 Being in the house of the Lord is refreshing, especially when there are so many worldly distractions weighing you down. Being in the temple reminds us of what’s truly important and gives us a space to receive inspiration for important decisions and burning questions, or to simply feel peace. 2. Don’t look beyond the mark. He mentioned this again while explaining the new home-centered church curriculum in the October 2018 conference. “We trust you to counsel together and to seek revelation for implementing these adjustments while not looking beyond the mark or trying to regiment individuals or families,” he said. 3. Make prayer and scripture study a daily habit. I’ve heard it said that we talk to Heavenly Father through prayer, and He talks to us through the scriptures. Block out time in your day to spend not just reading but studying the scriptures and praying sincerely. Take notes on the things you learn and write down the impressions you have. When you do these things, you’ll gain a greater relationship with Christ and a stronger testimony of His gospel.